In "The Fragile Self" Dr Mollon argues that psycho-analysis requires an adequate theory of self in order to address effectively those states of mind in which a disturbed sense of self is prominent. He discusses disorders of the self from a variety of points of view, drawing particular attention to the work of Kohut and describing its strengths and limitations. Mollon argues that a broader "taxonomy" of disturbances of self is required and goes on to develop his own thesis that the patients in psychotherapy or analysis are often unconsciously seeking a needed development-enhancing response from the therapist. The therapist' s task is to recognize what this need is and to articulate it to the patient. In this way, the hitherto lonely and unreached parts of the personality can be contacted amd integrated. In exploring these issues, many aspects of psycho-analytic process and technique are re-examined. Phil Mollon is a member of the Independent Group within the British Psychoanalytical Society. He is also a clinical psychologist, and trained in psychotherapy at the Tavistock Clinic. 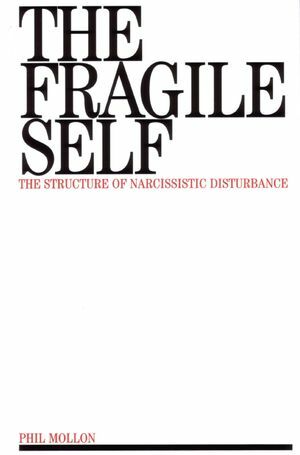 A Comprehensive Model of Narcissistic Disturbance. Clinical exploration of The Model.